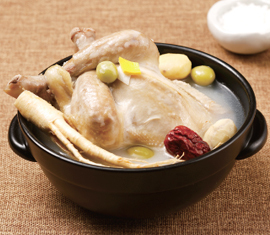 Made by simmering chicken with ginseng, samgyetang is a Korean traditional health food often consumed during sultry summer days to invigorate the body. 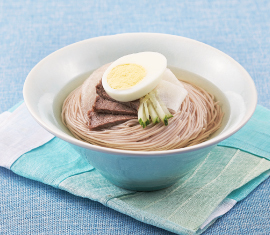 Mul naengmyeon, or cold buckwheat noodles are served in chilled dongchimi (radish water kimchi) or beef broth. Recently, it has become common to eat naengmyeon instead of rice at the end of galbi meals for a refreshing finish to the meal. 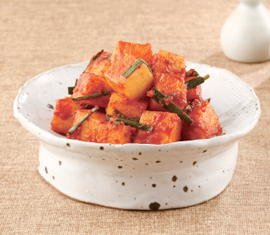 Diced radish is soaked in salt water then seasoned with Korean chili powder and various other condiments. 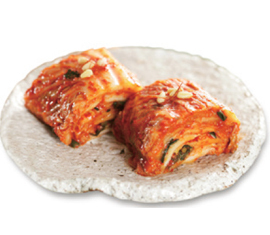 Made by soaking cabbage in salt water then coating with a radish filling, baechu kimchi, or simply kimchi, is the most common of all kimchi. Before winter arrives, families get together to make large amounts of kimchi to last through the cold winter. This annual traditional called "gimjang" was designated a UNESCO World Heritage in December 2013. 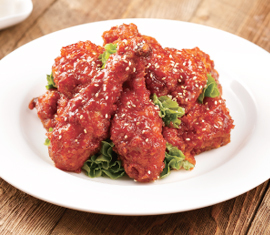 Fried chicken is seasoned in a special sweet and spicy gochujang (Korean red chili paste) sauce. Sweet and spicy yangnyeom chicken is perfect with a cold can of beer. Boneless chicken is marinated then cooked with plenty of vegetables. 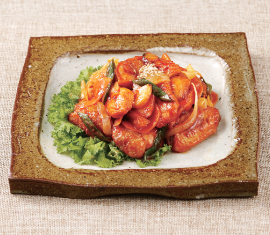 Dakgalbi is a specialty of Chuncheon, a city in Gangwon-do that became popular after being featured in the popular Korean drama "Winter Sonata." 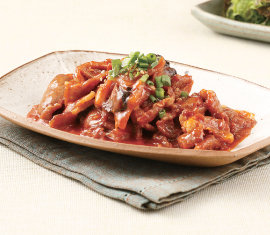 Thinly sliced pork is marinated in a gochujang (Korean chili paste) based sauce. 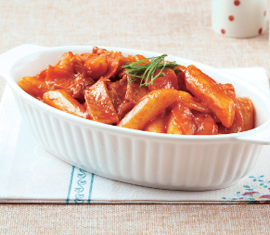 Although it may be a bit spicy, is a very popular "red" dish. 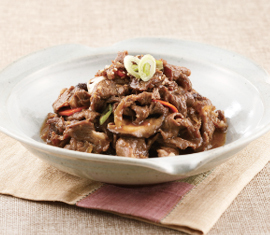 Galbi jjim can be made with beef ribs or pork ribs. 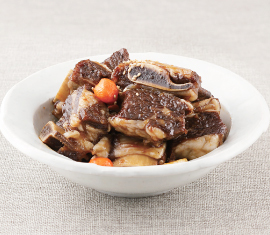 Chunky ribs are braised in a soy sauce based seasoning with various vegetables.